DAUBER & PINE BOOKSHOPS. Cat. No. 40, 1929. [BOUND WITH]: No. 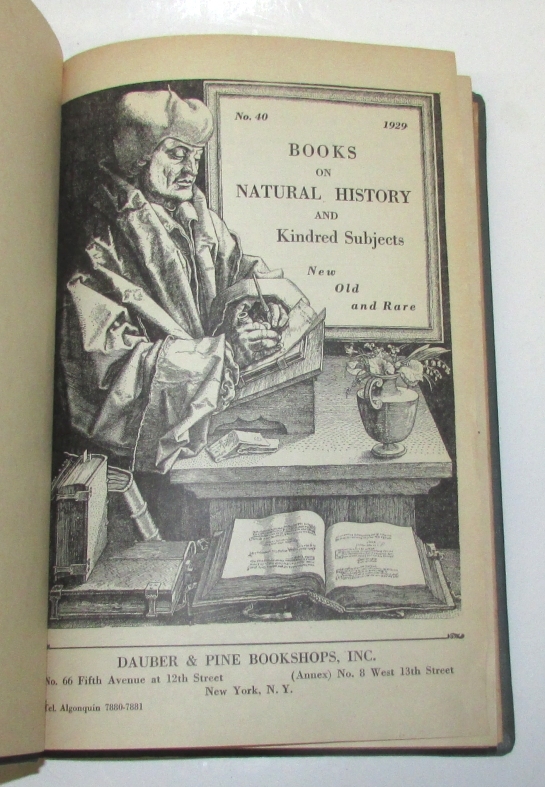 53: Natural History... 1929-30, [BOUND WITH]: No. 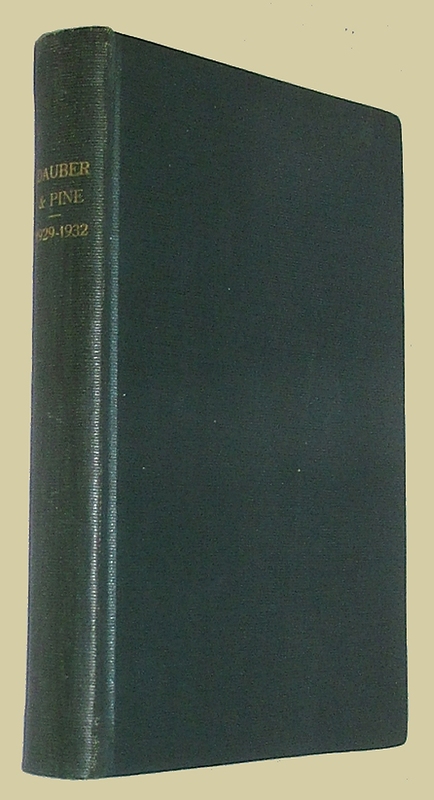 73 Natural History... 1930-1031, [BOUND WITH]: NO. 96... 1931-1932, [BOUND WITH]: No. 105 Natural History... 1932; [BOUND WITH]: No 110; [BOUND WITH]: No. 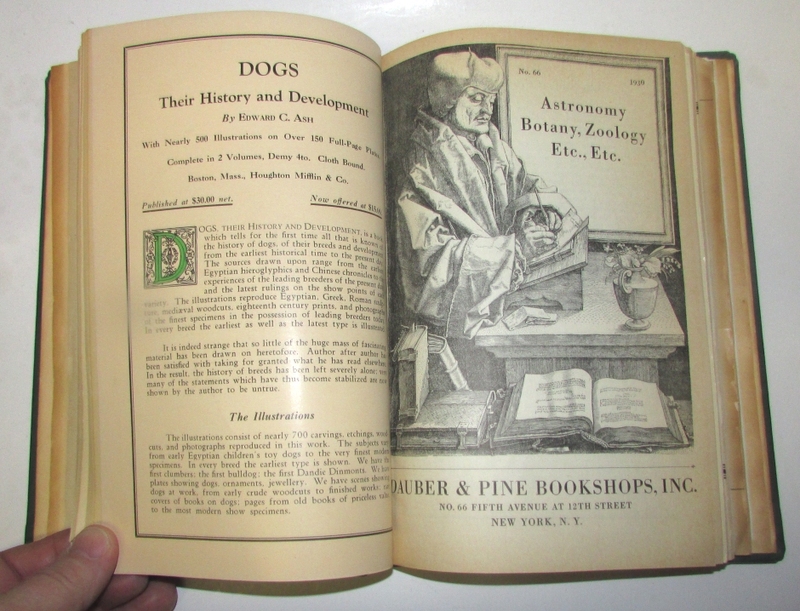 120 Natural History… 1932-1933. (New York): Dauber & Pine Bookshops, 1929-33. Tall 8vo., eight catalogues (1929-1932) bound in one volume, modern cloth, various pagination. Near fine.